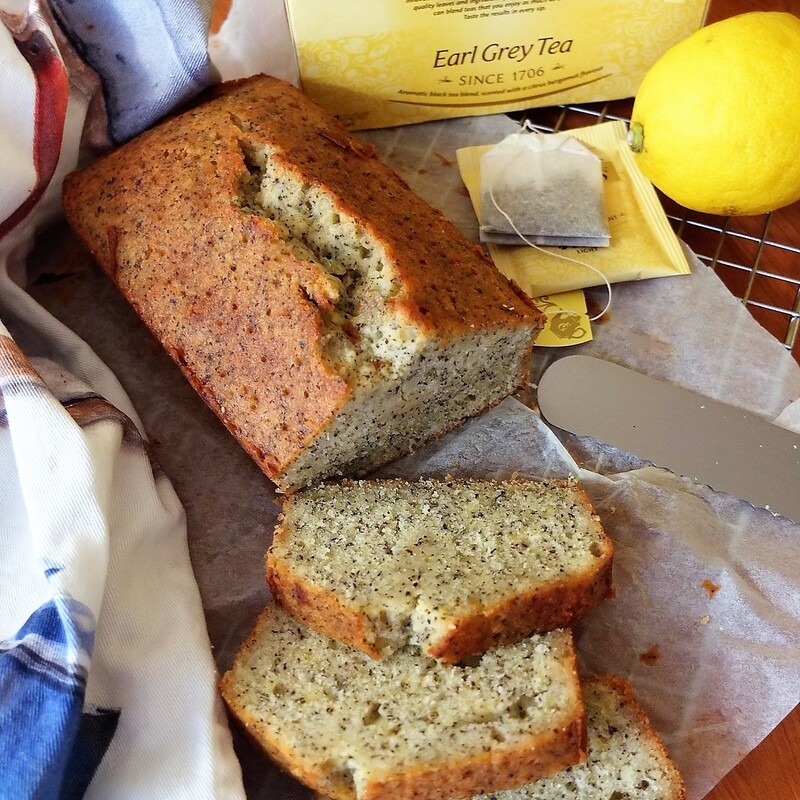 Earl Grey tangy travelling loaf (Earl grey tea and lemon loaf cake recipe) and who is Earl Grey? The magic flavour in Earl Grey tea is bergamot, a citrus fruit with a delicate aroma. Earl Grey’s identity and the origins of the tea will be revealed later but first the cake. 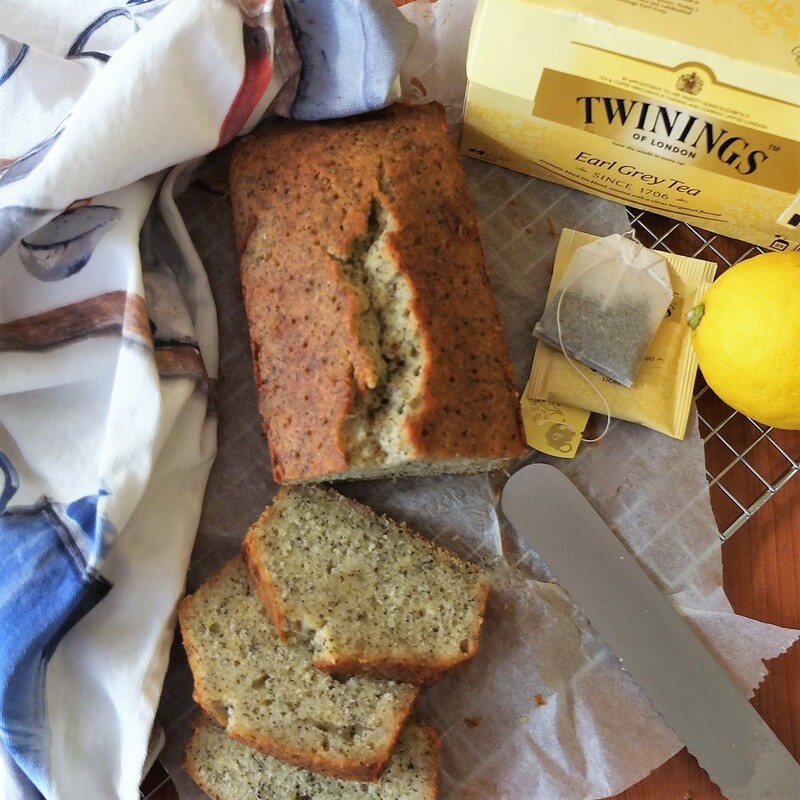 Having used bergamot in baking before I was curious to try Earl Grey tea and delighted to find cutting up tea bags and using the powder as flavouring produced the same beautiful citrus taste (the little black specks are tea by the way, not poppy seeds). I owe this discovery to Keiko Ishida’s lovely Okashi book and adapted her recipe using a little less icing sugar in the batter, more Earl Grey tea and double the lemon juice in a honey soaking syrup so it’s deliciously zingy. It’s a cake de voyage that travels and keeps well, as my teaching and climbing friends happily confirm. 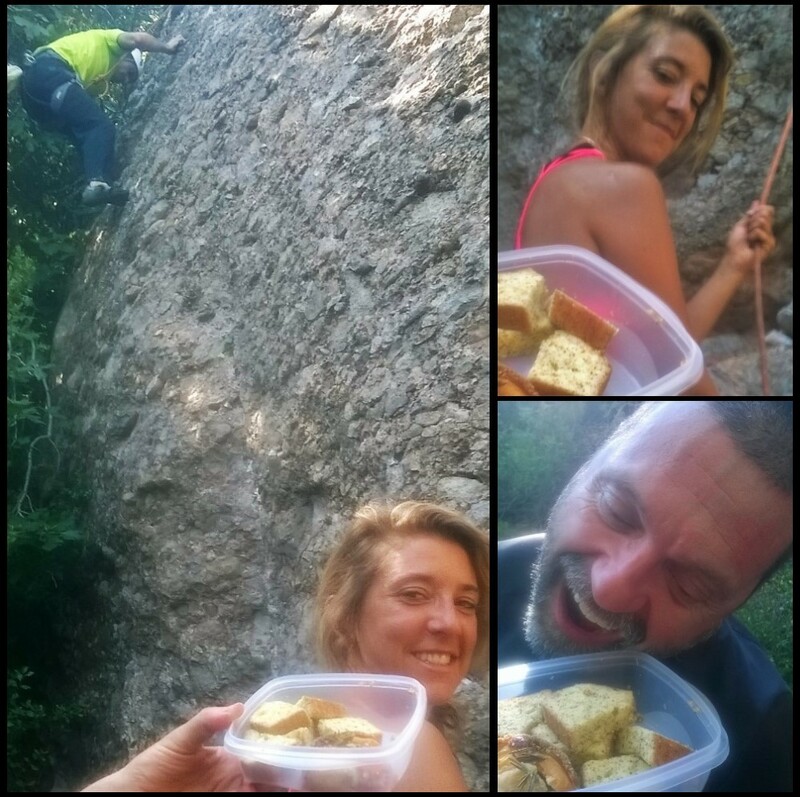 In fact this cake’s raison d’être or purpose in life was to feed hungry climbers at the rock and it was perfect. My companions’ eyes lit up as they munched and they happily took some home without even trying to refuse. Basically it’s a gourmet treat camouflaged as a simple cake. Plus it remains unpertubed by strenuous activity (being knocked around in the backpack) or hot humid conditions (Barcelona in the summer), keeping its shape and form perfectly along with a moist light crumb. 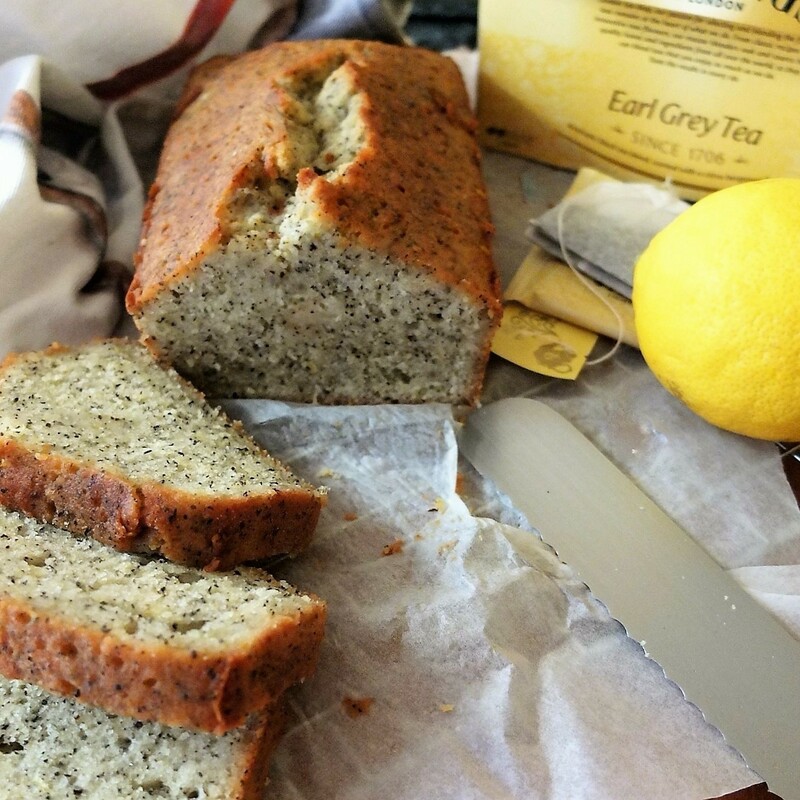 Recently I’ve bestowed more imaginative names on my creations so this is my Earl Grey tangy travelling loaf, or if you like to know exactly what you’re eating: Earl grey tea and lemon loaf cake. It’s very fast and easy to make so perhaps you’ll give it a go! Icing sugar also seems to keep the structure light yet less crumbly. Plus it’s handy if you’ve run out of caster/superfine sugar! Make sure your milk, eggs and butter are at room temperature. Preheat your oven at 170°C/340°F (static non-convection oven) or 150°C/300°F (fan-assisted). 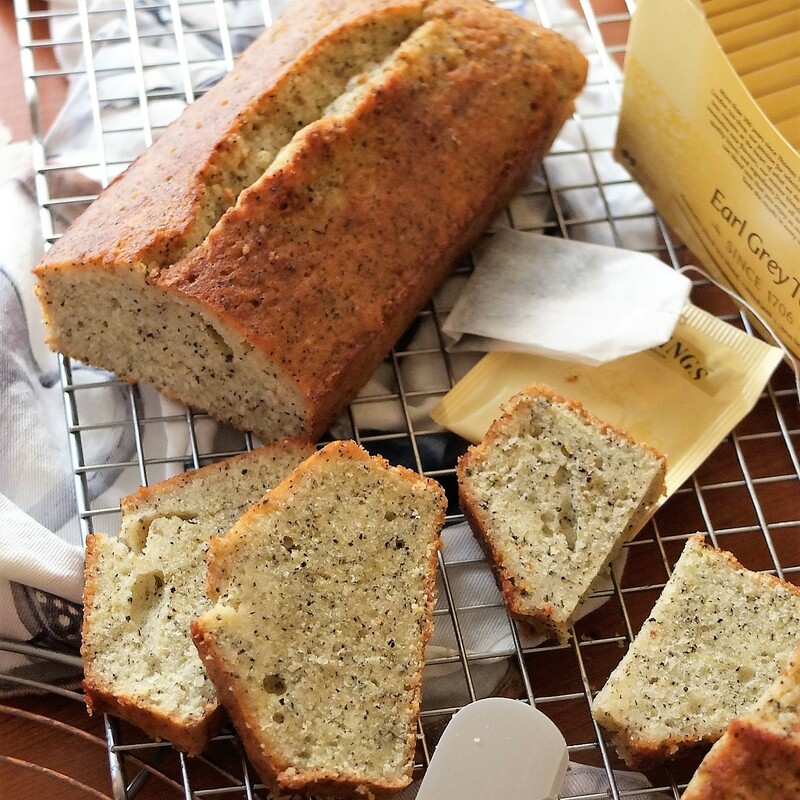 Lightly butter a loaf tin and line with baking paper. 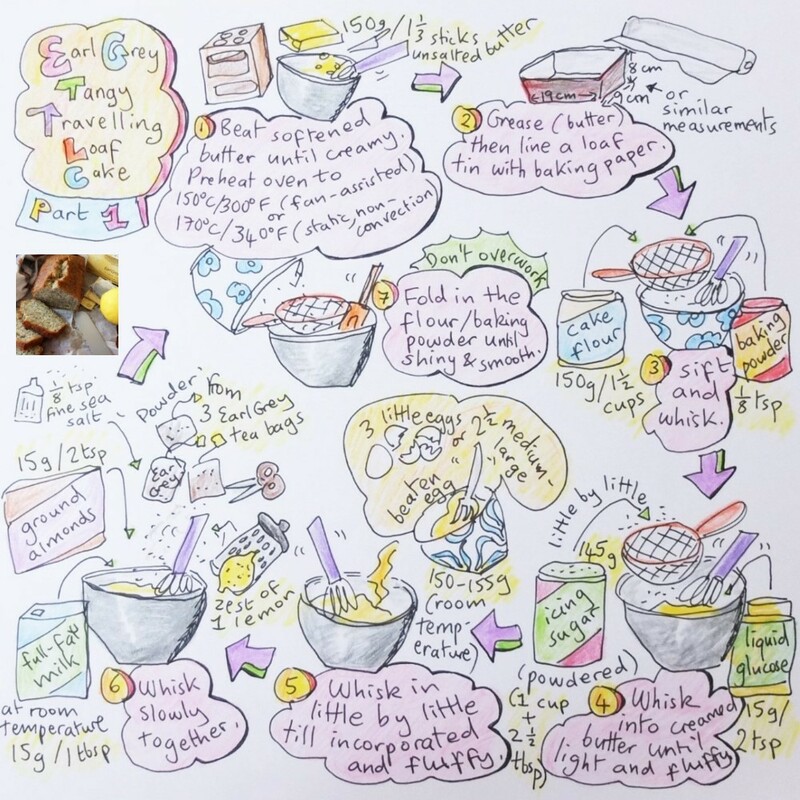 Sift and whisk together the cake flour and baking powder.. The recipe is both illustrated and written, with photos. Whisk your softened butter in a big bowl until it’s creamy. Whisk in the glucose and gradually whisk in the icing sugar very well until light and fluffy. Little by little whisk in the beaten egg, whisking well between each addition. Slowly whisk in the Earl Grey tea, ground almonds, lemon zest, salt and milk. Don’t overwork. Sift half the flour mixture into your bowl and fold in then fold in the other half. Again, don’t overwork. Your cake batter should be shiny and smooth and go in the oven as soon as possible. Pour carefully into your lined loaf tin. Level out and smooth with the back of a metal spoon. Draw a line down the middle with a slanted spatula or butter knife. If you do this well it can help the crack that develops in the oven look straighter and neater, but a crooked crack is fine too so no worries. Bake around 40 to 50 minutes, depending on your oven. An inserted skewer should come out clean and dry. If you press the top lightly with a finger it should spring back slightly. Try not to overbake as this makes the cake drier. (a) Take the cake out of the tin, peel off the baking paper and wait 20 minutes for it to cool slightly (it should still be warm). Place on a wire rack over a tray and brush all over (also under the cake) with the soaking syrup. (b) Leave the cake in the tin, wait 20 minutes for it to cool slightly then make holes all over with a skewer, to the bottom of the cake. Use a spoon to pour the syrup over the cake little by little. You can also brush the syrup all over it. With this system you could feel more confident the syrup is penetrating as with the usual lemon drizzle cake, but there will be hole marks over the top. (c) My third system: leave in the tin (cover with a tea towel to keep it moist) and wait 20 minutes. Make holes with a skewer and pour in some syrup. Brush a little syrup all over. Maybe try peeling off the paper and brush all around too. When completely cool you can serve or store at room temperature wrapped tightly in plastic film. Eat within 3 or 4 days. Take it anywhere you like, it stays in perfect condition. Yum yum. The Earl Grey blend is said to be named after Charles Grey (The 2nd Earl Grey), who was British Prime Minister in the 1830s. This bergamot oil scented tea was possibly invented to imitate a more expensive type of Chinese tea presented to the Earl as a diplomatic gift. You can read Twining’s tale on their website. Apparently Jacksons of Piccadilly also claimed the original recipe whilst the Grey family say the blend was created for them by a Chinese Mandarin. There’s a nice article What is Earl Grey tea? which has some great information about the tea and its origins but you’d need a time machine to go back and ascertain who actually invented it. Anyway, more importantly Earl Grey is absolutely delightful in cakes! So ignore the idea that it’s a posh drink for the upper classes and just stick it in your bakes. lol. 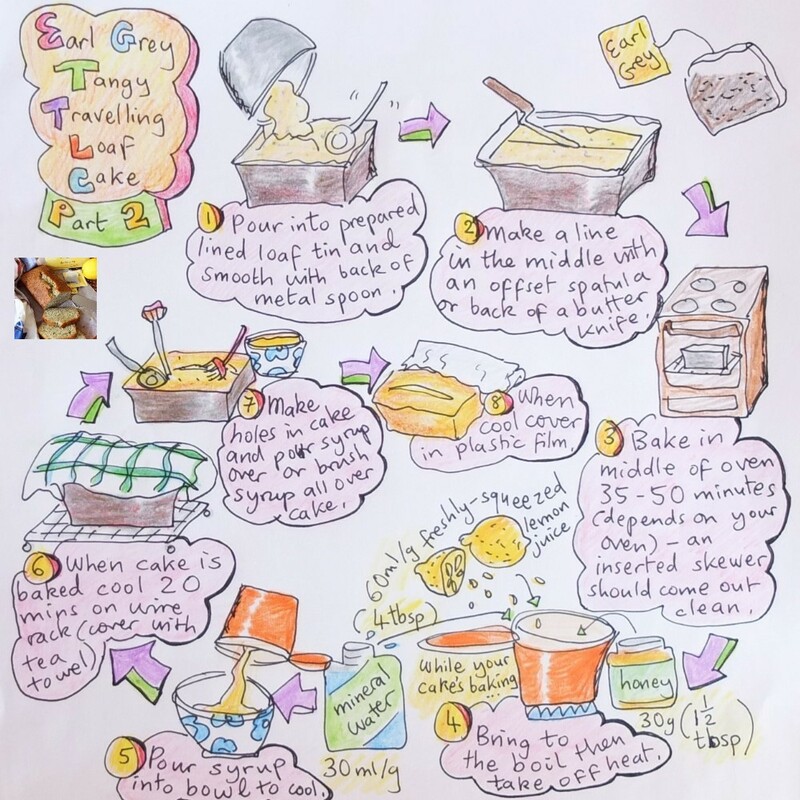 I know I’ll be making this cake regularly and looking for other Earl Grey recipes. Do have a little slice dear reader.